← I Must Be Getting Old – I Bought A Cadillac!! In the last day or two I have been looking through some 1961 and 1962 issues of Canada Track & Traffic searching for a particular advertisement. I am still searching for that advertisement, but I did come across two advertisements for products that I am not familiar with. I have posted these advertisement here in hopes that someone can provide me with more information about these products. The first is the advertisement for the G.S.M. Delta car shown below. At first I thought that it was some modification of the MGB, but I think that the G.S.M. 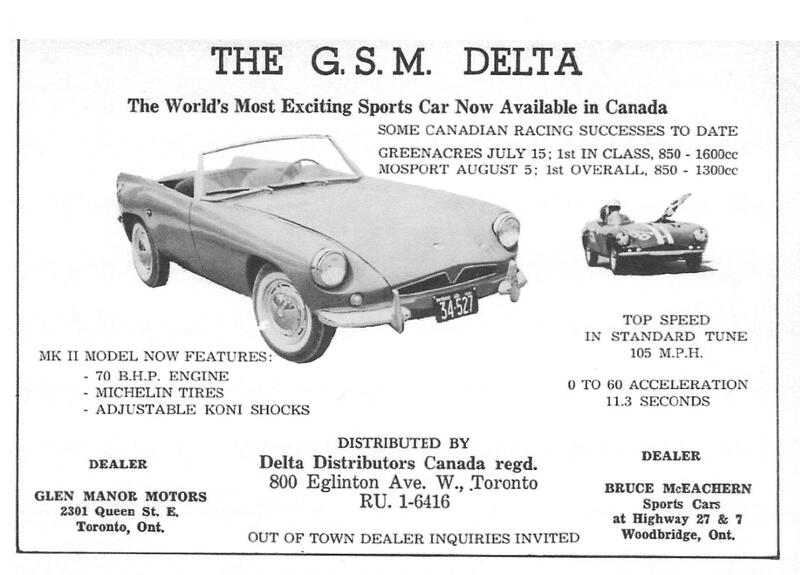 Delta predates the MGB. This car is a mystery to me. 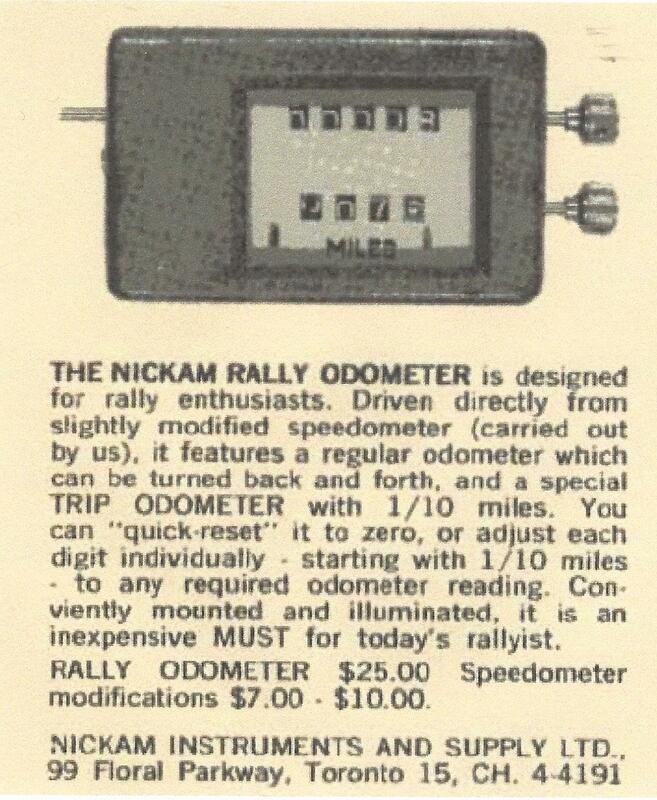 The other advertisement was for the Nickam Rally Odometer shown below. This is another product that I have never heard of. I note that the odometer only seems to register to 1/10 mile which limits its usefulness in car rallies. The installation which can only be done by the supplier would also seem to limit its usefulness. Any information on this odometer would be appreciated.